I mentioned Maison Margiela’s Beach Walk fragrance in my previous post about Sephora’s VIB event and felt it deserved a full review. 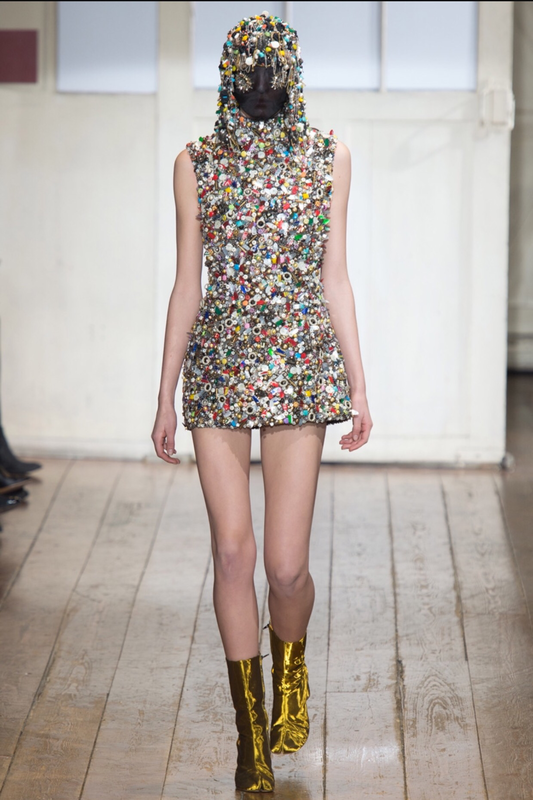 I found the mysterious Martin Margiela very interesting too. 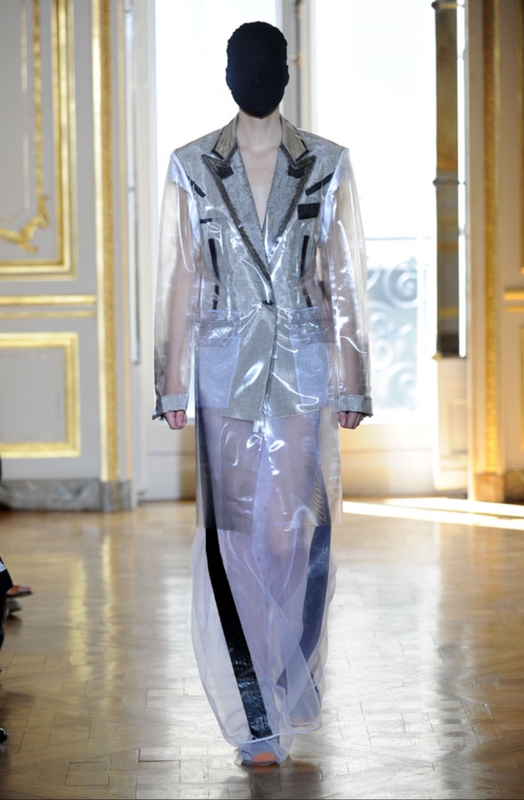 Maison Martin Margiela is a fashion powerhouse that has been designing haute couture since 1988. The groundbreaking designs were shocking, intriguing, and way before their time. The original creator is a mystery who liked to evoke anonymity and unconventional designs that carry over into the current ‘Replica’ line of fragrances designed my Maison Margiela. Take a look at some google images of his pieces that include faceless models. For me, the faceless models have a meaning; Don’t look at me as a person, look at what I created as an artist and designer. Just take in the beauty of the couture. 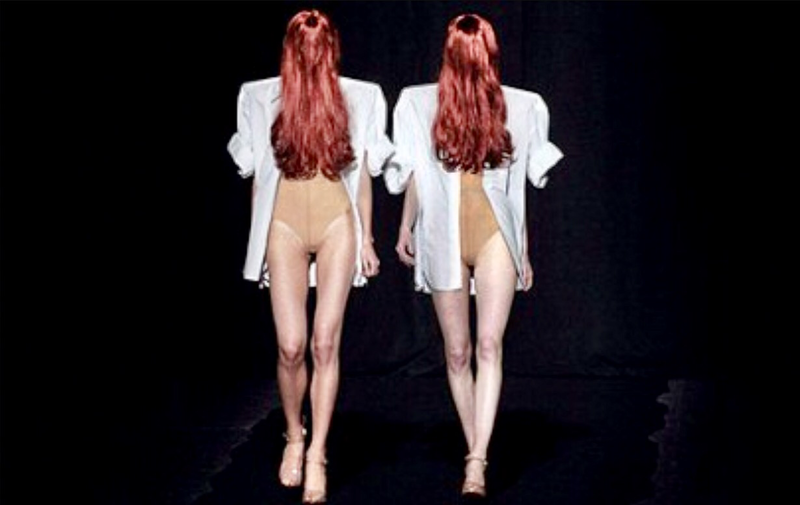 The identity of Martin Margiela is widely unknown. There is one unverified photo of him taken in 1997. He never does interviews, remained backstage at shows, and never has photos taken. I respect Martin Margiela’s privacy so I won’t speculate on who he is or what he may look like. What matters most is his unprecedented creativity and captivating designs. 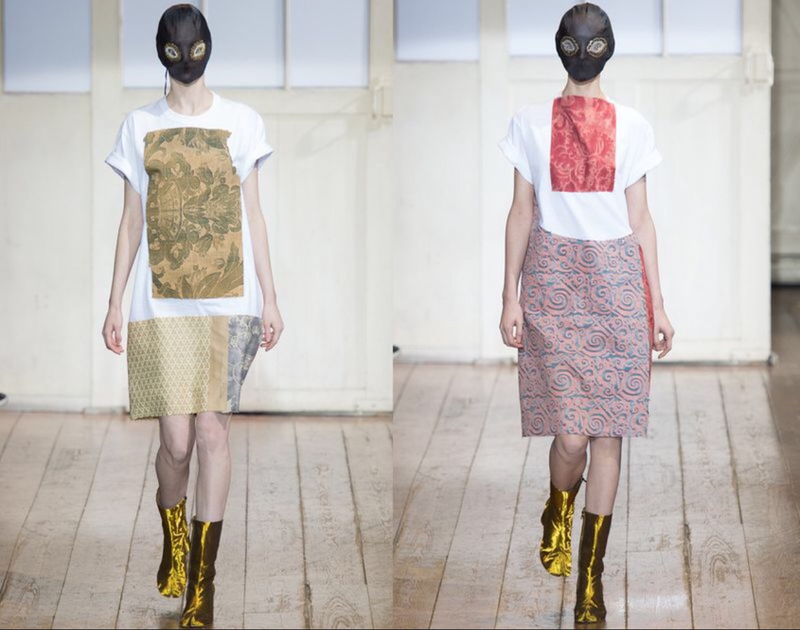 It was officially announced in 2008 that Martin Margiela had left the business and a group of anonymous designers would take his place to form the collective Maison Martin Margiela. In 2014 it was announced that the famed John Galliano would be the new CEO of Maison Martin Margiela. At that point Martin’s only advice to John was “make it your own.” In 2015 and coinciding with Galliano’s debut, it was announced that Martin would be dropped from the name. 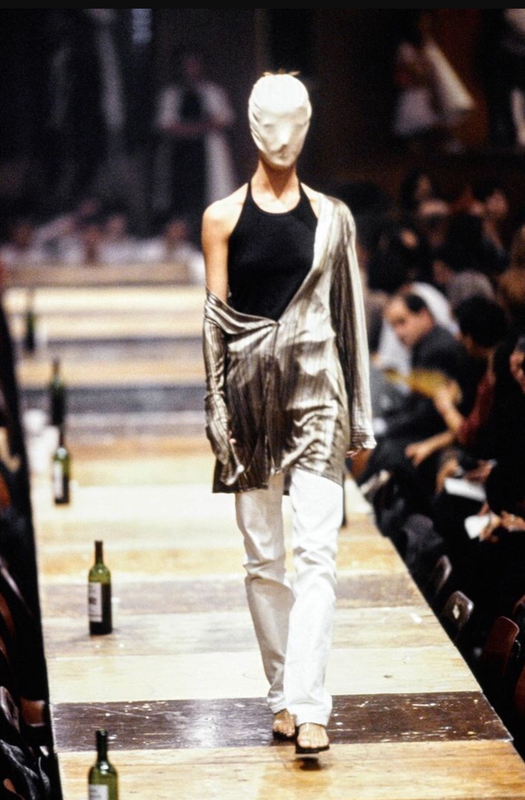 The old fashion powerhouse with a new CEO would now be called Maison Margiela. 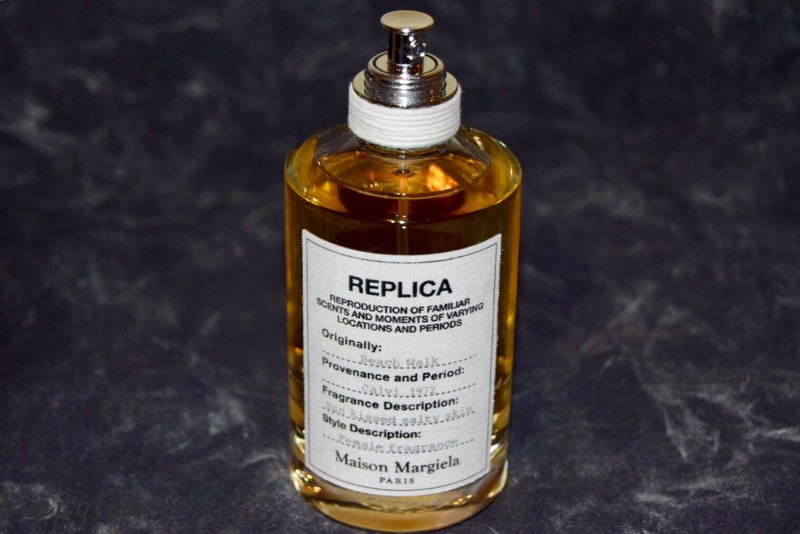 ‘Replica’ fragrances were created by Maison Margiela to evoke your senses and transport you to a memory of a familiar place, an ambitious fantasy, or a filtered fragrance primer. Each glass bottle contains a cotton label with text reminiscent of Martin’s Replica clothing line tags. Each metal pump is wrapped with rope, another nod to the Replica clothing line. Review: ‘Replica’ Beach Walk actually transports me to a relaxing day on the beach with my toes in the sand and the sun shining bright. I can close my eyes to hear the sound of the waves crashing and scent of the sea water. This is aromatherapy with the bonus of being a fragrance to carry with you. I am a true fan of the scent, solely for my love of the beach. I’ve had several people test this fragrance and to be honestly, some loved it and some hated it. Those that didn’t like it, weren’t fans of the beach. One person said all she smelled was sunblock. I can pick up on the bergamot, lemon, and coconut and it instantly lifts my mood. The wear time is pretty good on me. After the initial spritz, it sinks in and becomes less coconut scented and more of a light summer musk. It lasts through my 8 hour shift and its clean scent makes it easy for me to wear to work, even with a “no perfume policy” in place. With ‘Replica’ it’s all about your favorite places so I suggest you test them out at Sephora and see which one brings memories back for you. If you love the beach then definitely try Beach Walk. Next on my wish list is Lazy Sunday. Take a look at some of the places, fantasies, and filtered fragrance primers that Maison Margiela has replicated. Lazy Sunday- Waking up to a sunlit lazy Sunday mornings with silky smooth skin to roll over in the scent fresh laundry from the line. Jazz Club- Sink into a leather arm-chair at a  Brooklyn Jazz club, where cocktails linger, their wafting liquor through a maze of  bar stools and the subtle scent of tobacco. By The Fireplace- Outside it is snowing on a frosty shivery landscape. Inside is warm with the flames of a comforting fire crackle. At The Barber's- Shaving brushes slide through the soapsuds as the friction of the dry razor snaps against leather. The soft rustling of warm white towels fill your ears. Flower Market- Wet petals crunch beneath your feet as vases of brimming water splash across crisp petals and snapped stems. Lipstick On- Hidden from view, a woman puts on her finishing touches of makeup with crimson red lips. Delicate rice powder lingers in the air. Funfair Evening- Splashes of neon color break through the night, vibrant and explosive. The scents of cotton candy and caramel envelope you. Tea Escape- All around you the city bustles, noisy and frenetic. At the heart of the chaos there is a silent alcove behind a veil of steam and the rich vapors of tea. Promenade In The Gardens- Take a romantic walk between the cool rows of greenery among delicate flowers. Wanderers lose themselves in the fresh green glades and the organized chaos of trees shade a path lined with flowerbeds. Blur- Softens and envelopes olfactive memories with a delicate, ethereal embrace. Glow- Warms and illuminates olfactive memories with the bright kiss of the sun. Flying- Day dreaming high into the bright and sunny skies. Feel yourself detach from the ground below as you being to rise up into the air. Embrace the wonderment of a sunny flight as you drift through endless skies, becoming one of the soft currents of the wind. Dancing On The Moon- Embark on a journey of imagination to the distant moon, an ominous and desolate place to lose yourself. Feel the weightlessness of your body as you dance across the opalescent surface under the mysterious black sky. Have you tried any Maison Margiela fragrances? Did you feel transported to your favorite place? The faceless models are unnerving! I’ve sampled a bunch of Maison Martin Margiela’s perfumes. My friend loves the Jazz Club which is actually a Men’s fragrance but it isn’t too “manly” – smells like tobacco to me. I personally like Beach Walk too – it’s not too strong and smells so refreshing. Have you ever smelled Bobbi Brown’s Beach? This is better than that and lasts longer.